The Japanese yen jumped against its most-traded rivals today as optimism caused by the truce in the trade war between the United States and China waned, and market participants started to question whether the agreement will hold. Markets rejoiced yesterday due to announcement that the USA and China agreed to not implement additional tariffs on each other for a 90-day period, opening their markets in the meantime. Yet today the positive sentiment caused by the news weakened, sending global stocks down and pushing investors to safer assets. As for Japan’s economic data, the Bank of Japan reported that monetary base expanded by 6.1% in November from a year ago, exceeding the average forecast of a 5.7% increase and the October’s 5.9% rate of growth. 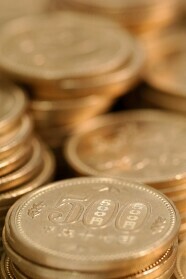 USD/JPY crashed from 113.65 to 112.95 as of 15:29 GMT today, touching the low of 112.73 intraday. EUR/JPY dropped from 129.02 to 128.45.